Fly with REAL fighter pilots! 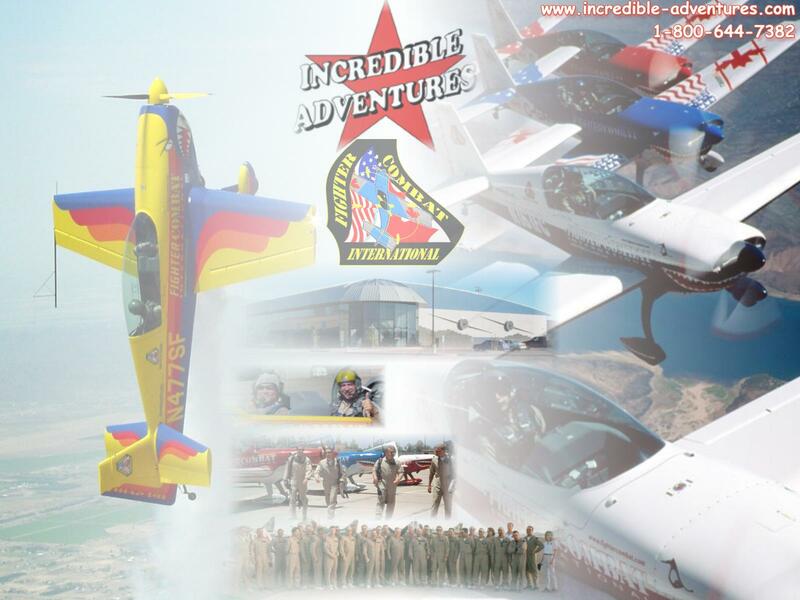 Dogfight in the highest performance certified aerobatic aircraft in the world. Following a military style briefing, you don a flight suit along with your personal call sign and strap into the cockpit of the amazing Extra 300L - a world class unlimited category aircraft. You, under the guidance of your seasoned fighter pilot, will maneuver the plane and line up the bandit in your sights. Each plane is equipped with a laser weapons system, smoke and sound effects for a realistic experience. Your entire flight is recorded from broadcast quality cameras inside and outside the plane. No flying experience is required. Do you have what it takes to be Top Gun? Come and see for yourself. without the air combat, click here. The Price: Get a great half-day adventure including tactics manual, personalized leather call sign patch and a souvenir mini DVD of your flight for just $1210. The Location: Flights take place at Williams Gateway Airport, located about 35 minutes from Phoenix, in Mesa, AZ. The sun shines 360 days a year in Mesa, making it the perfect place to host a corporate event or plan a vacation getaway to fly. Williams Gateway Airport is located on the site of the former Williams Air Force Base, where more fighter pilots were trained than at any other base in the US. It features three runways bordered by beautiful mountain views. The Plane: The Extra 300L can often be seen at air shows and world aerobatic competitions demonstrating its incredible capabilities. The Extra is stressed to +/- 10G's, has a roll rate of 360°/second and no prohibited maneuvers, making it one of the safest and most capable aircraft in the sky. No. You must be at least 12 and should be under 6'6" and 250 lbs. The level of intensity is tailored to each client. What if I don't like to fight and just want to fly? Then schedule an Aerobatic Super Ride. Be hands-on (yes YOU FLY!) or let your fighter pilot instructor show you the maneuvers you want to see - it's your choice. In this adventure, you decide how far you want to push your personal envelope. You spend up to 45 minutes in the air, performing all the aerobatic maneuvers you select from a virtually limitless list of aerial stunts. From mild-to-wild, basic to advanced to unlimited to extreme - it's your ride and you select the profile that best suits your aerial adventure desires. Price: $670 includes souvenir mini DVD of your flight.